Own few properties that need cleaning. I would like to schedule weekly cleaning to maintain. Thank you.Own few properties that need cleaning. I would like to schedule weekly cleaning to maintain. Thank you.Own few properties that need cleaning. I would like to schedule weekly cleaning to maintain. Thank you. Housecleaner for Short Term Rentals Needed ASAP!Housecleaner for Short Term Rentals Needed ASAP!Housecleaner for Short Term Rentals Needed ASAP!Housecleaner for Short Term Rentals Needed ASAP! I hope you are having a good day. My business is looking for weekly reliable general house cleaning. I look forward to speaking with you!I hope you are having a good day. My business is looking for weekly reliable general house cleaning. I look forward to speaking with you!I hope you are having a good day. 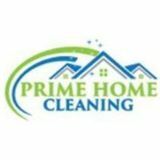 My business is looking for weekly reliable general house cleaning. I look forward to speaking with you! Housekeeper.com’s housekeeping jobs service is the most reliable source for finding a housekeeper, maid, or cleaning lady job in Los Angeles County. This is the most trusted, complete and easy to use database of Los Angeles County housekeeper jobs. Whether you’re looking for a residential, commercial, office, condo or apartment cleaning job, Housekeeper.com can help you find a great housekeeping job in the Los Angeles County area.